We have a TON of squash and tomatoes coming out of the garden. The onions were medium sized Walla Walla Sweets, and the garlic was a hardneck purple variety that the better half plants every year. 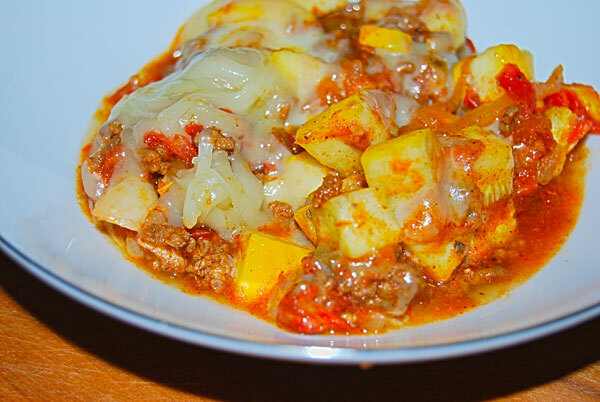 This is an easy weeknight dinner if you can cook the ground beef in advance, and if you are a vegetarian, I think omitting the beef, and adding a can of black beans would taste delicious as well. 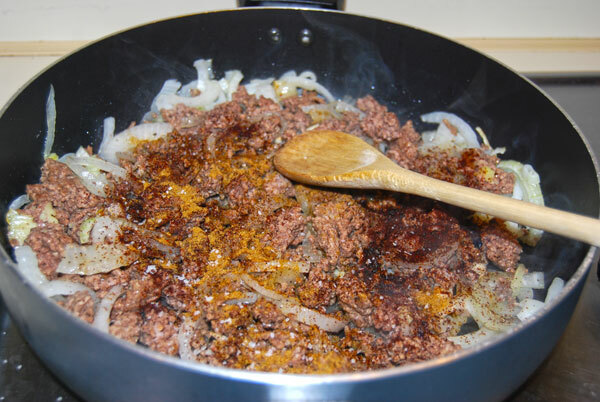 Cook ground beef, and sautee onions. You can cook the beef in advance and just add it to the pan like I did for a quicker prep time on a weeknight. 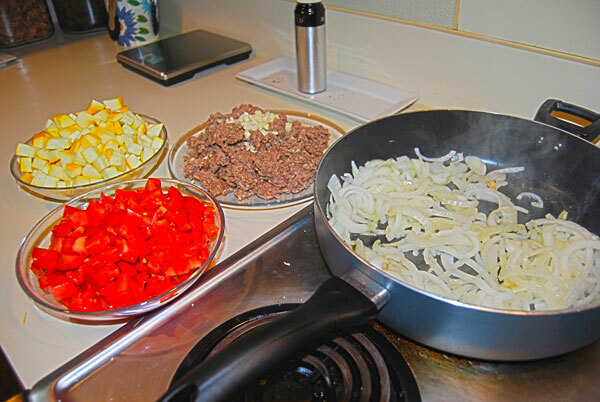 Add seasonings to beef and onion mixture. 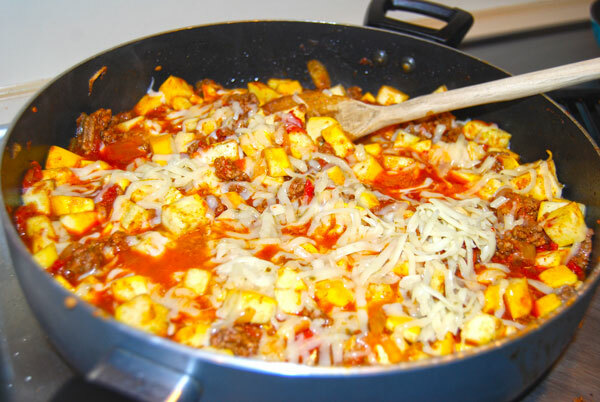 Add the tomatoes and salsa, cover and simmer for about 15 minutes until the liquid from the tomatoes cooks down a bit. Add the squash, cover and let simmer for a few more minutes until the squash is just tender (I don’t like squishy squash). Top with Pepperjack cheese.